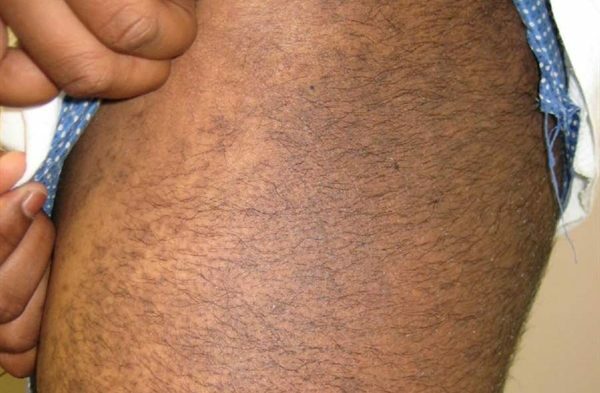 A 75-year-old, obese woman is referred for evaluation of a rash affecting her abdomen and upper arms. The condition was first noted 6 months prior to evaluation and is asymptomatic. Medical history includes adult-onset diabetes and hypertension. 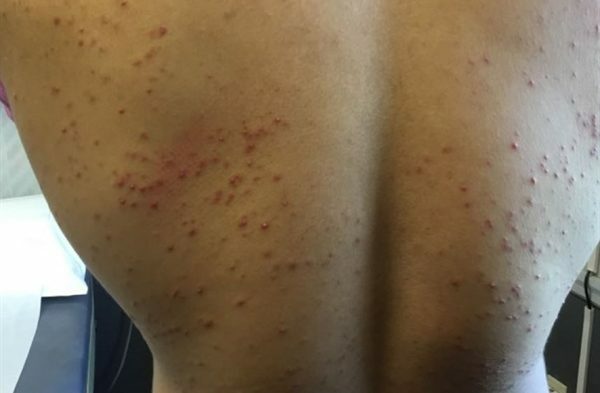 Prior treatments for the rash include ketoconazole shampoo and triamcinolone cream, both of which were ineffective. Typical presentation of granuloma annulare involves multiple wide-spread, erythematous-to-hyperpigmented papules that may coalesce to form annular plaques. 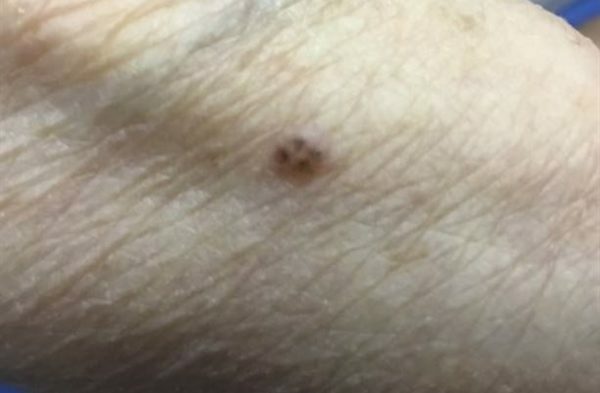 A papular morphology in the absence of annular plaques is a less-common presentation.2 Diagnosis is made clinically and can be confirmed by skin biopsy. Lauren Ax, MSPAS, PA-C, is a physician assistant at the DermDox Dermatology Center in Hazleton, Pennsylvania, and Stephen Schleicher, MD, is director of the DermDox Center for Dermatology, as well as an associate professor of medicine at Commonwealth Medical College and a clinical instructor of dermatology at Arcadia University and Kings College. 1. Patrascu V, Giurca C, Ciurea RN, Georgescu CV. Disseminated granuloma annulare: study on eight cases.Rom J Morphol Embryol. 2013;54(2):327-331. 2. Bansal M, Pandey SS, Manchanda K. Generalized papular granuloma annulare. Indian Dermatol Online J. 2012;3(1):74-76. 3. Lukács J, Schliemann S, Elsner P. Treatment of generalized granuloma annulare – a systematic review. J Eur Acad Dermatol Venereol. 2015;29(8):1467-1480. 4. Ran M, Wang Y. Generalized granuloma annulare associated with diabetes mellitus. N Engl J Med. 2016;375(10):e21.